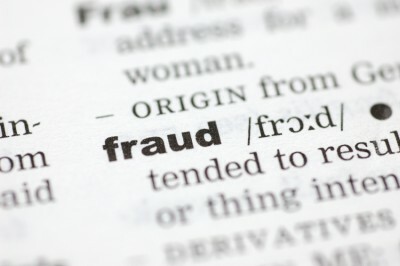 Wising Up to the Great Wind Power Fraud! After decades of federal subsidies – almost $24 billion according to a recent estimate by former U.S. Sen. Phil Gramm – nowhere in the United States, or anywhere else, has an array of wind turbines replaced a single conventional power plant. Nowhere. But wind farms do take up space. The available data from wind-power companies, with which the Environmental Protection Agency agrees, show that the most effective of them can generate about five kilowatts per acre. This means 300 square miles of land – 192,000 acres – are necessary to generate the 1,000 megawatts (a billion watts) of electricity that a conventional power plant using coal, nuclear energy or natural gas can generate on a few hundred acres. A billion watts fulfills the average annual power demand of a city of 700,000. 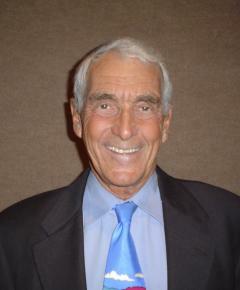 Taxpayer support for wind energy will eventually come to an end, I optimistically predict. The only question is how soon. My pessimistic guess is it will take another decade – by which time the number of wind turbines, currently about 45,000 according to the American Wind Energy Association, could more than double. It is unclear whether very many wind-energy firms have sufficient monetary reserves to cover dismantling these behemoth lawn sculptures once the tax credits wind down or disappear. If not, the result will be a scene from a science fiction movie – as though giant aliens descended onto our planet only to freeze in place. The promise that wind and solar power could replace conventional electricity production never really made sense. It’s known to everybody in the industry that a wind turbine will generate electricity 30% of the time – but it’s impossible to predict when that time will be. A true believer might be willing to do without electricity when the wind is not blowing, but most people will not. And so, during the 30% of the time the blades are spinning, conventional power plants are also spinning on low, waiting to operate during the other 70% of the time. Importantly, the amount of electricity the wind can generate per acre of land is unrelated to the size of the turbines. Yes, by doubling the turbine’s blade length you quadruple the turbine’s power output. The problem? If the turbines are big and tall you need fewer of them, but they must be more widely separated. If they’re smaller you need more of them, closer together. Another inescapable problem for electricity grids: The power generated by a wind turbine varies with the cube of the wind speed. When the wind speed doubles – say from 10 miles per hour to 20 miles per hour – the energy output increases eightfold (2 x 2 x 2). Someone, or some computer, has to balance these huge variations on the grid by calling on standby generators to produce more or less power to maintain the stability essential to the grid. So, you might wonder, do high winds make turbines really hum? No. 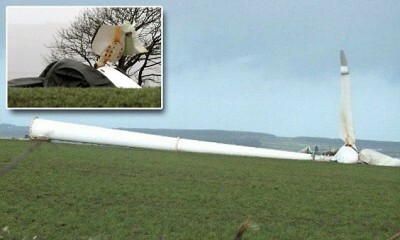 Turbines must be shut down in high winds because centrifugal force would begin to tear the blades apart. 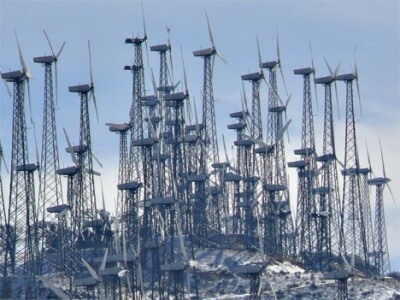 Also, the world has learned from experience in Europe – whose wind sculpture gardens may one day dwarf ours – that a one-millimeter buildup of bugs on the blades reduces their power output by as much as 25%. There are other problems. Thousands of turbine breakdowns and accidents have been reported in recent years. The basic concrete foundations are suffering from strains, as reported by industry sources and on the wind-farm construction website windfarmbop.com. And there are environmental factors. Annoying, low-frequency noise produced by wind turbines, particularly large turbines, is driving some people away from their homes, according to numerous press reports. (Low-frequency noise regulations are already in place in Denmark while the phenomenon is the subject of continuing research.) 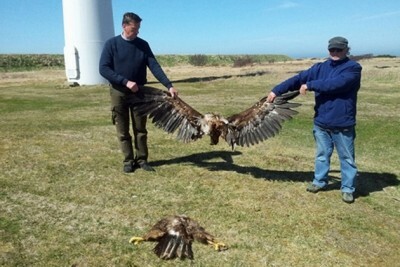 The Audubon Society now estimates bird deaths from turbines exceed a million per year. 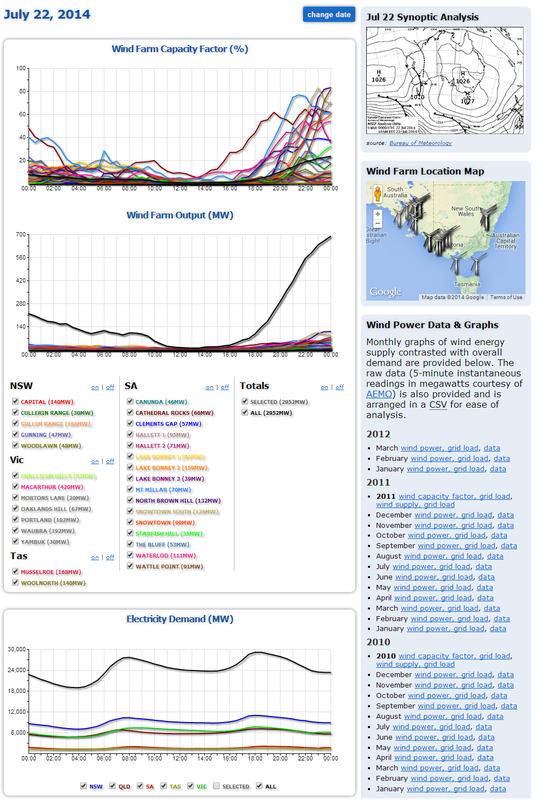 Wind is at best a niche player in energy. Grandiose claims made on behalf of wind-generated electricity are rubbish, whether or not renewable-energy advocates admit it. Wind-power developers will milk taxpayers across the world out of a few billion more dollars, euros or pounds in subsidies, tax credits and the like, but sooner or later the public will wise up.